I was providing professional guidance to Margaret on a 3D rendering project. 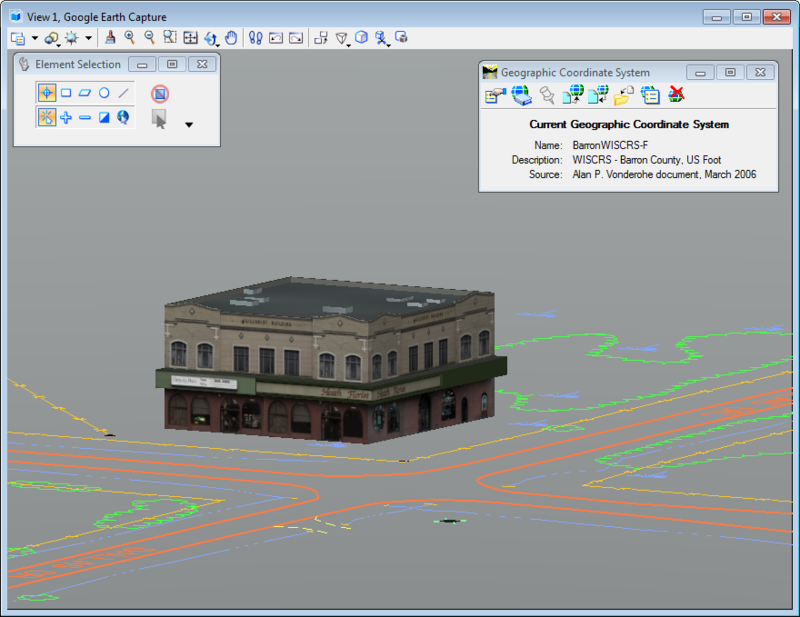 She wanted to take her 3D MicroStation model and export it to Google Earth. I shared with her one of my previous tips MicroStation V8i SS3 with Google Earth and Map that showed how to export your DGN file to Google Earth. In Margaret’s situation she had a 3D model that she downloaded from 3D Warehouse. The 3D models had material assignments already assigned to the model. 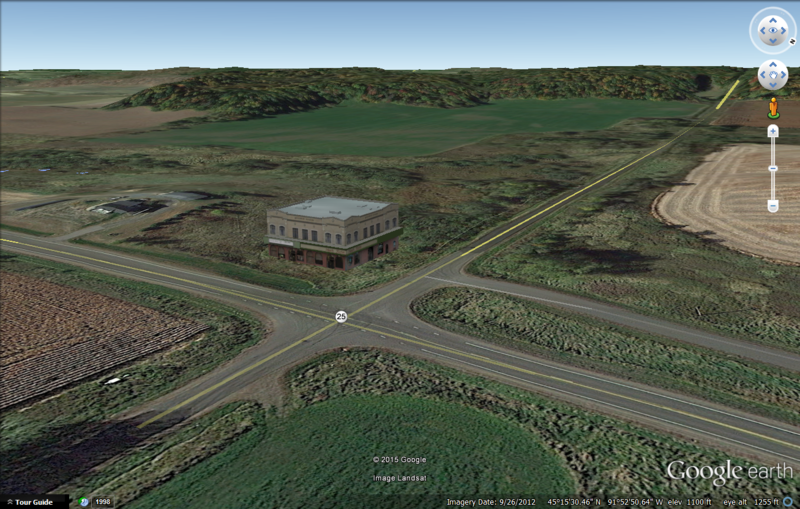 If you followed my previous tip the export would have looked like this in Google Earth. 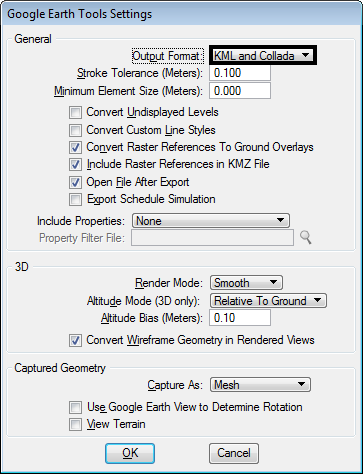 To make sure the file is exported with the rendering assignments applied there is a setting that needs to be changed. 1. From the Geographic Toolbar select the Google Earth Tools Settings icon. The Google Earth Tools Settings dialog will appear. 2. From the Google Earth Tools Settings dialog change the Output Format to KML and Collada. 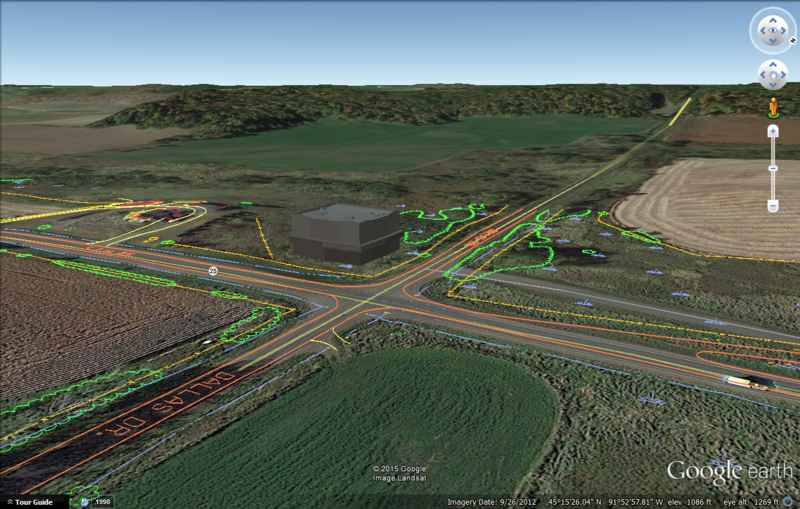 Then export the Google Earth KML file again and the model will keep its rendering assignments.